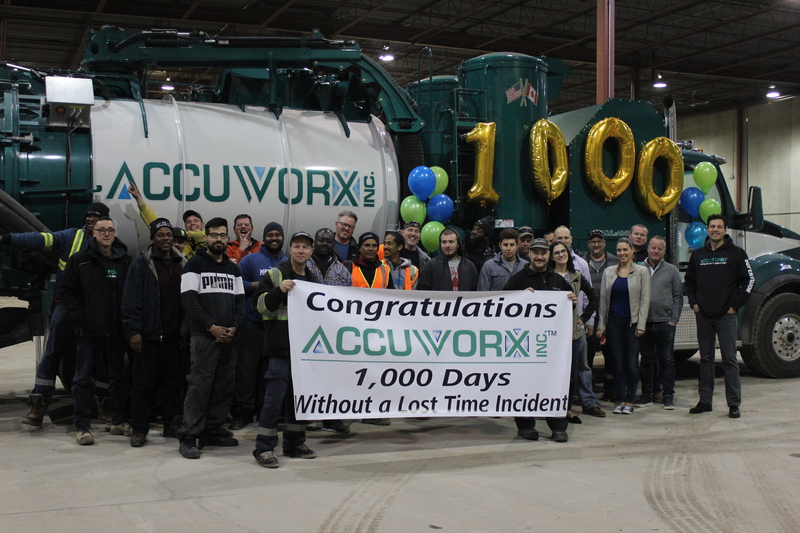 Accuworx is very proud to recognize the commitment to health and safety by the team at our Toronto location. To date, the firm has worked more than 1,000 days without a Lost Time Incident! All team members have contributed to the strong safety culture throughout the organization; and the ongoing record of accomplishment continues today. As a member of ISNetworld, BROWZ, AVETTA, COR, CERCA, IHSA, and ECRC pre-qualification systems, Accuworx’s esteemed safety record is a valuable asset for bidding projects that require high standards in safety and compliance. Higher compliance criteria are prominently seen in projects that include the energy sector, refineries, chemical processing plants, and government facilities. Prospective customers can be assured that employees of Accuworx will comply with strict safety standards and that those standards will be followed while on a customer job site. In addition, Accuworx’s New Experimental Experience Rating (NEER), a benchmark measure used for insurance premium discounts that compare worker compensation claims to other employers of similar size operating in the same type of business, continues to be reduced due to the company’s record of zero lost time accidents. Our NEER rating is currently 0.2%, whereas, the average rating in our industry is 2.2%. This result places Accuworx in the top 1% percentile in our industry for safety performance. We look forward to the next 1,000 days and beyond. Congratulations to our Accuworx family! Taking On The Toughest Jobs is what we’re all about. We apply innovative methods to tackle the most challenging situations and emerging environmental concerns, to provide our clients with solutions that bring peace of mind. By using the most advanced technologies available and employing the best people in the industry, we continually perform above and beyond government regulations and client expectations.